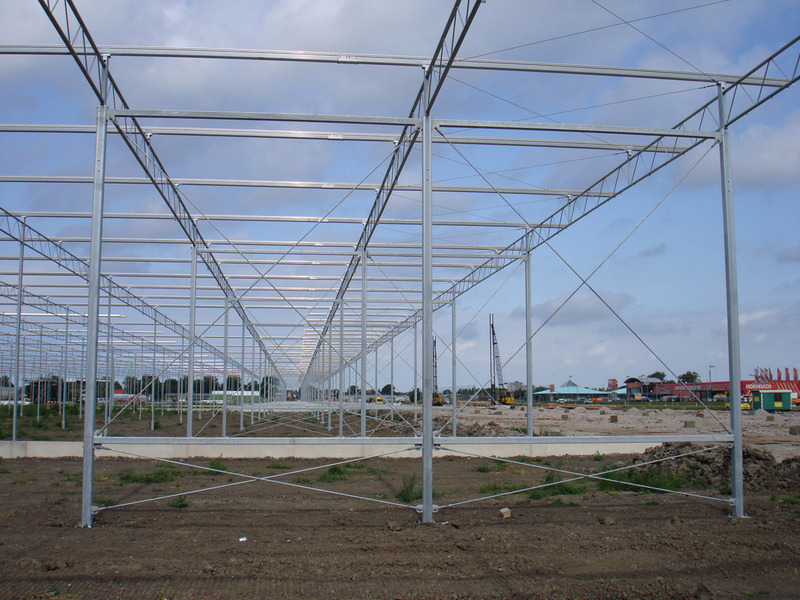 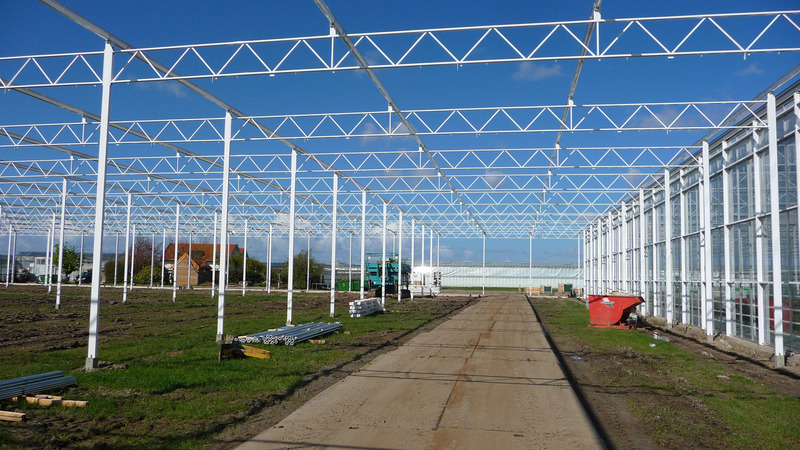 Welcome to Duijnisveld Greenhouse Structures’ internet site. 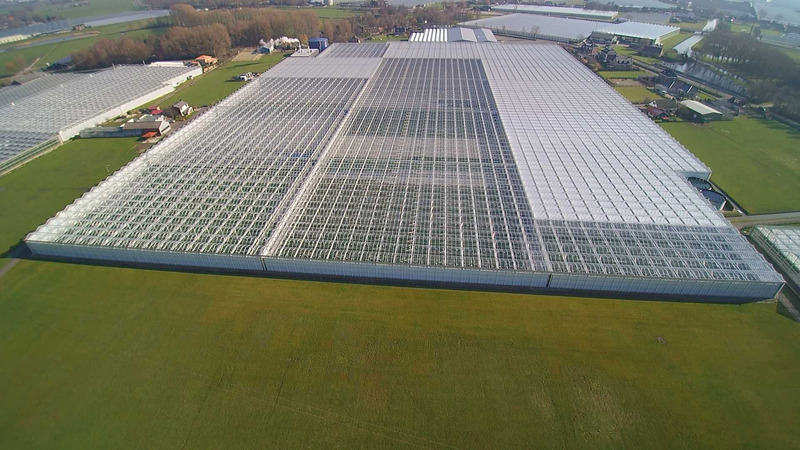 We are located in Westland, the largest continuous horticultural area under glass in the world. 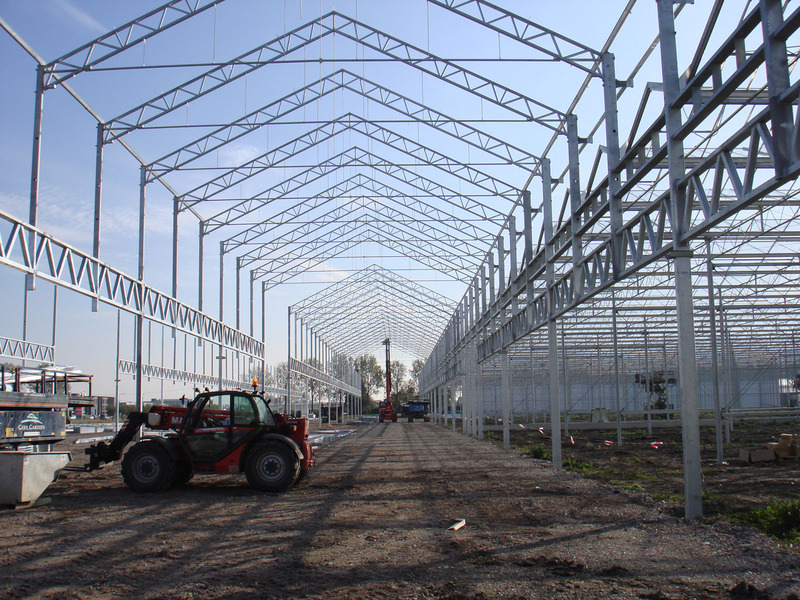 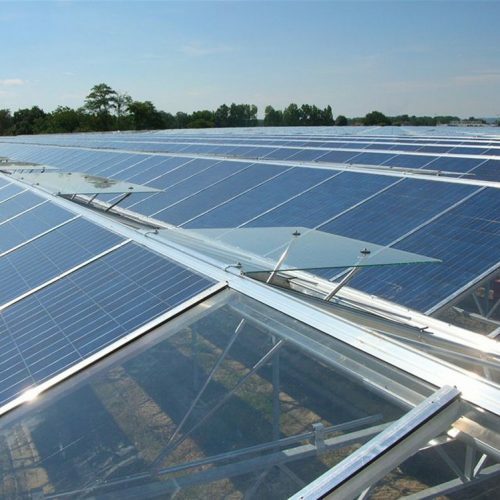 We have been working on a single specialisation, the development and manufacture of steel greenhouse structures for the international greenhouse horticulture industry, for no less than ninety-five years. 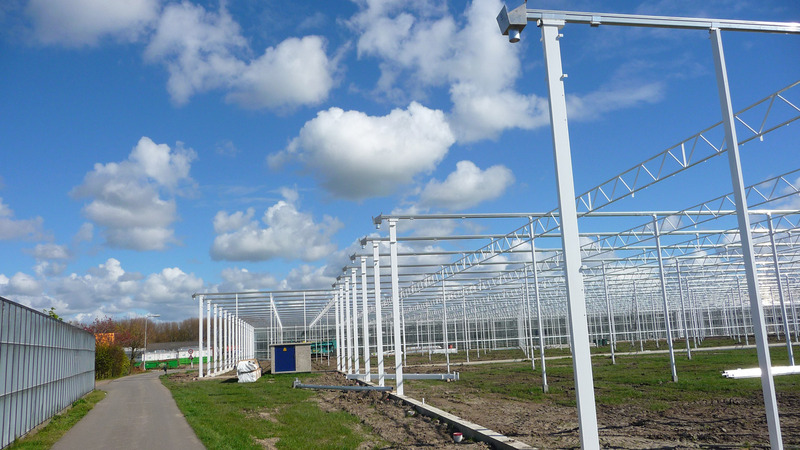 In the early days, Duijnisveld was one of the first companies to start with the batch production of steel profiles for greenhouses and we have always maintained this lead. 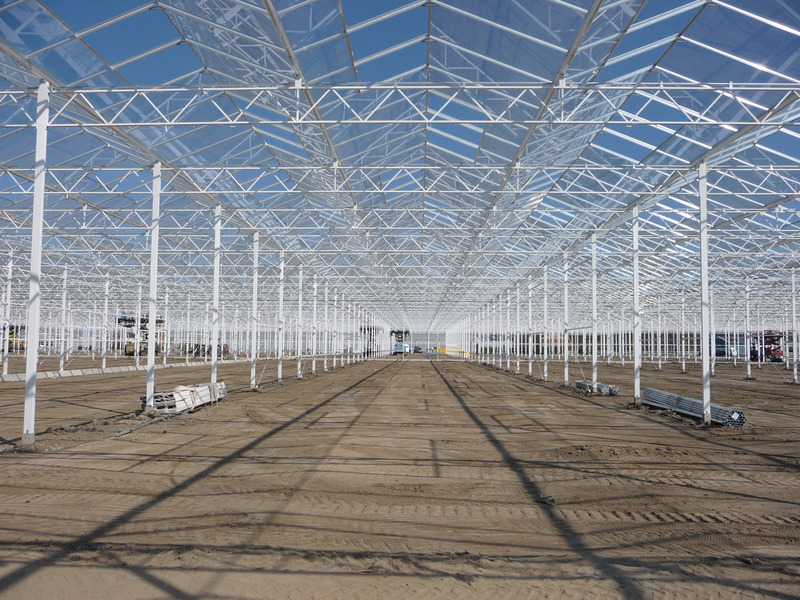 Our innovative approach enables us to keep up with the enormous changes that have taken place in the international greenhouse sector. 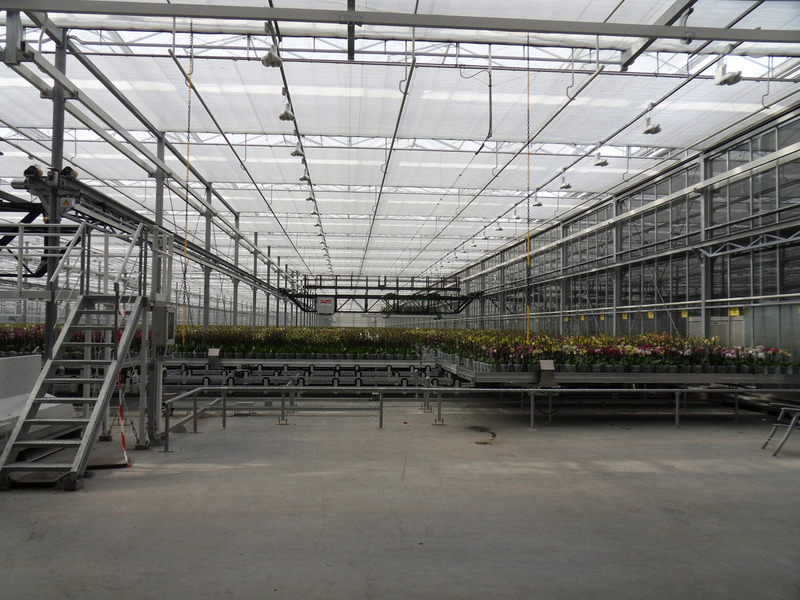 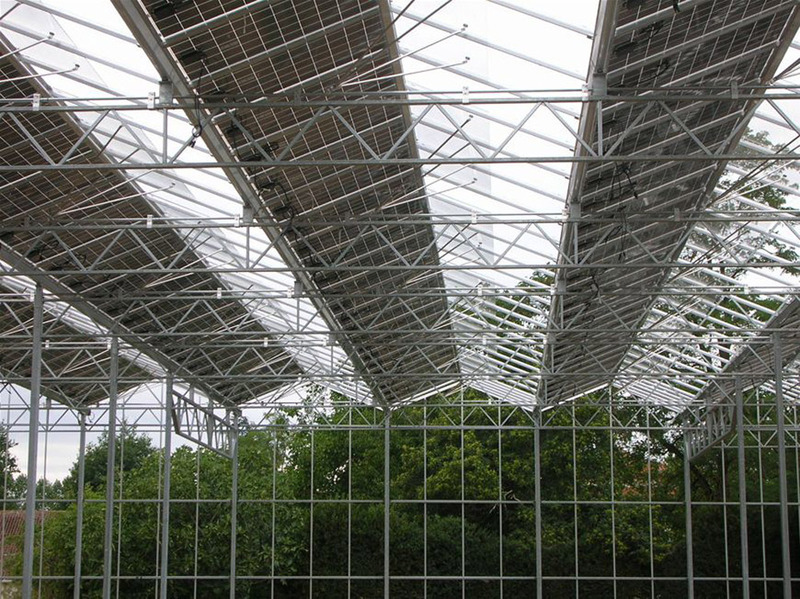 Duijnisveld Greenhouse Structures is a well-known name in the international horticultural sector. 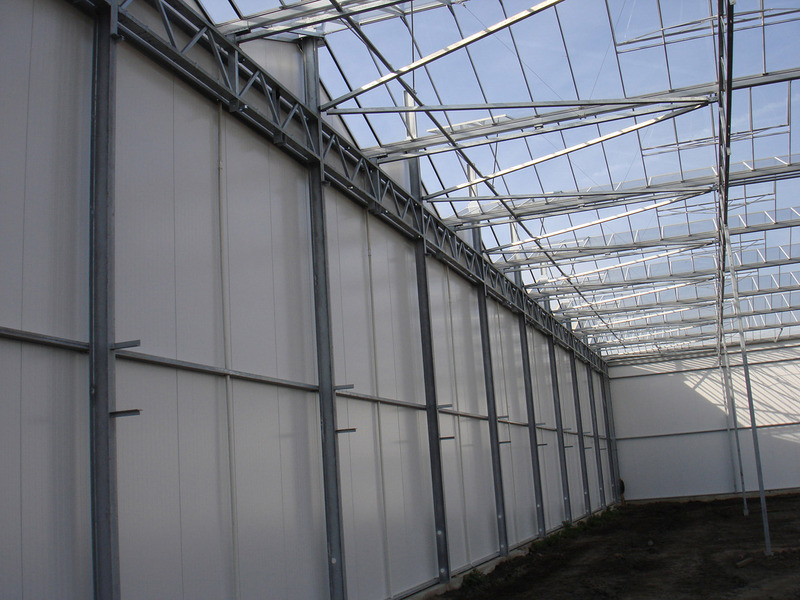 We develop new products and improve existing ones on the basis of decades of experience. 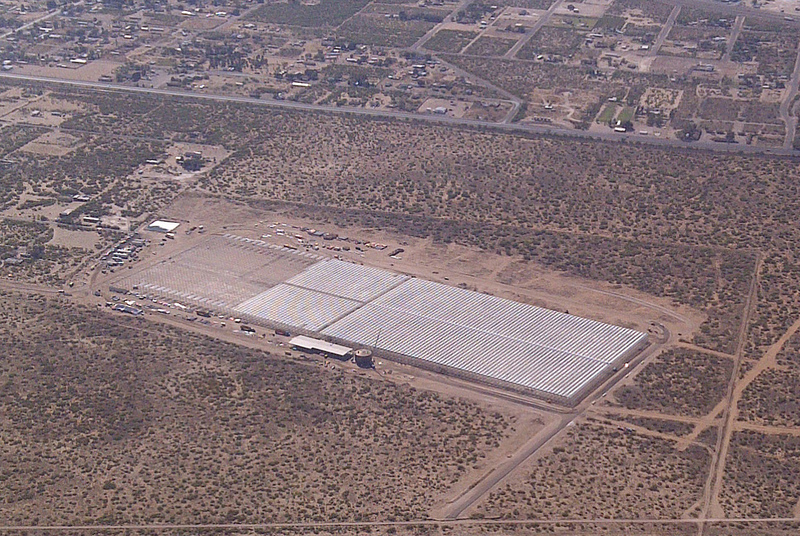 You can get to know us better here. 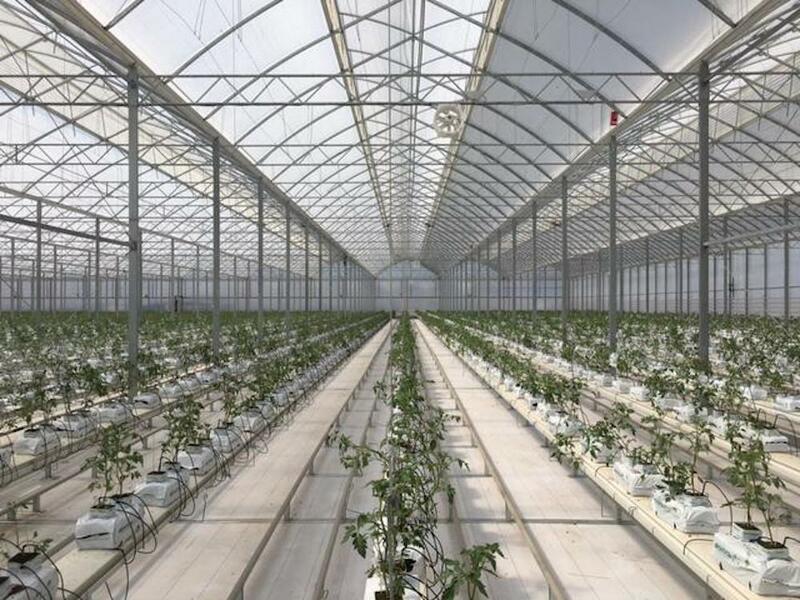 A nice 5 Ha. 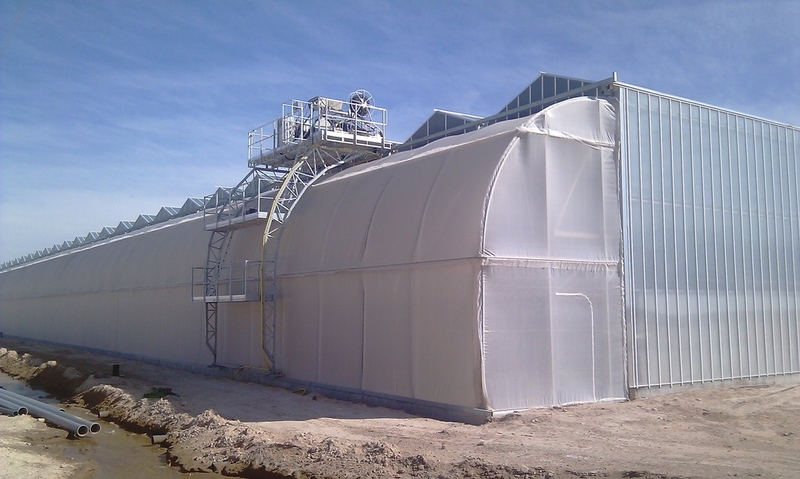 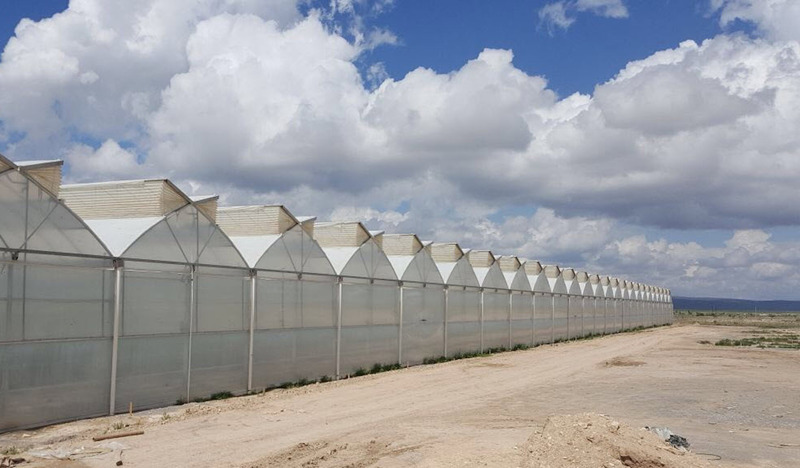 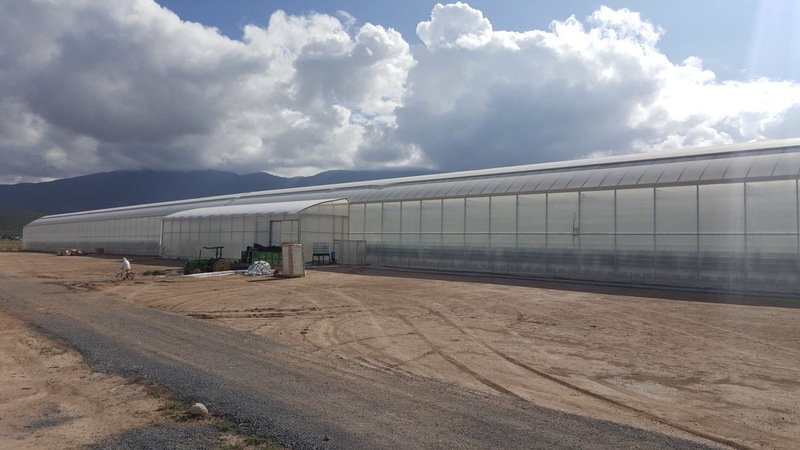 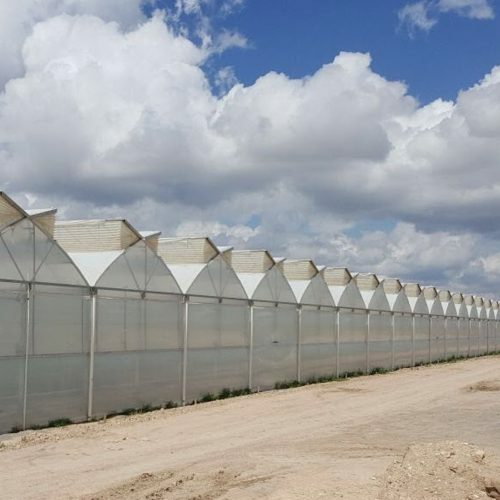 multispan Poly Greenhouse for Green Valley in Mexico, deliverd through VB-group. 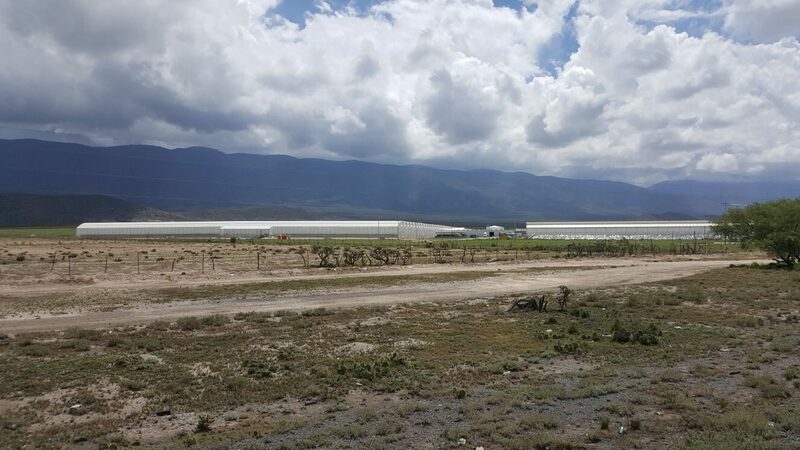 Nice view on the 4 Ha. 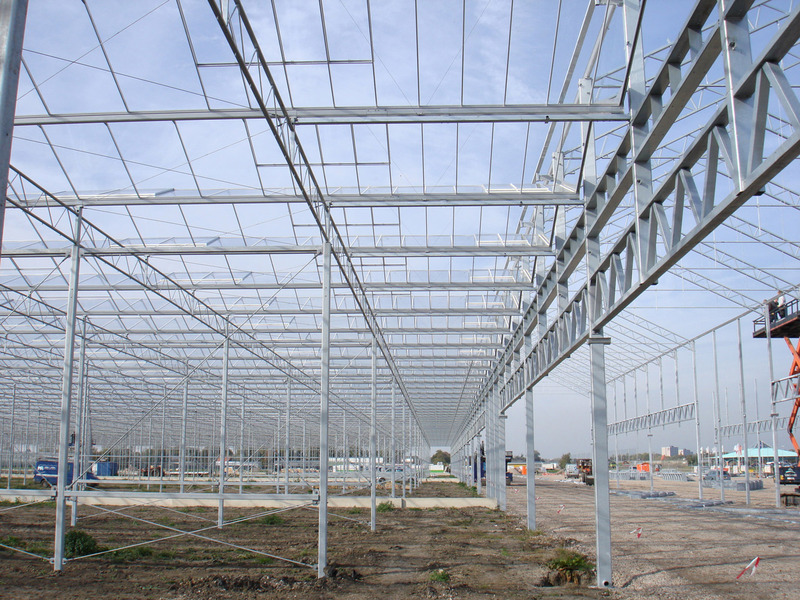 project Lapouyade in France, produced by us in 2015. 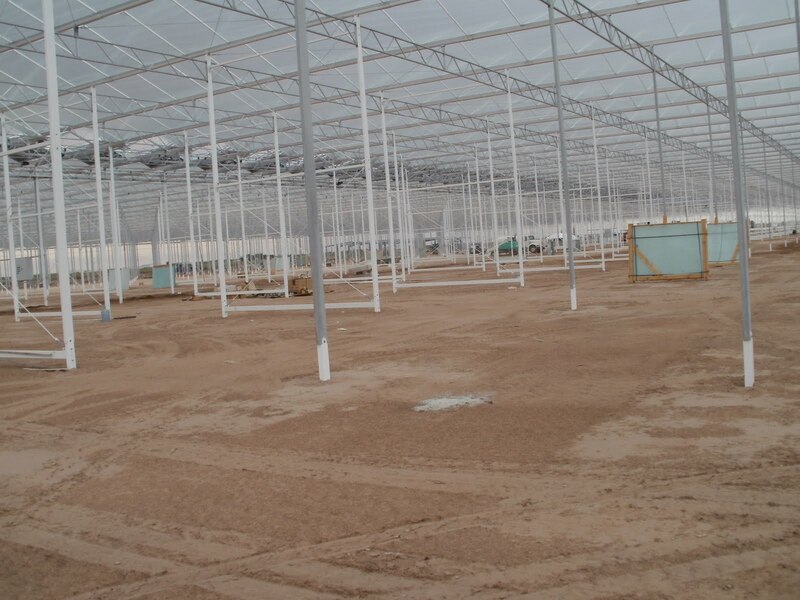 Via VB Group we delivered for Vreugdenhil Youngplants more than 10 ha groundsurface the steel greenhouse structure. 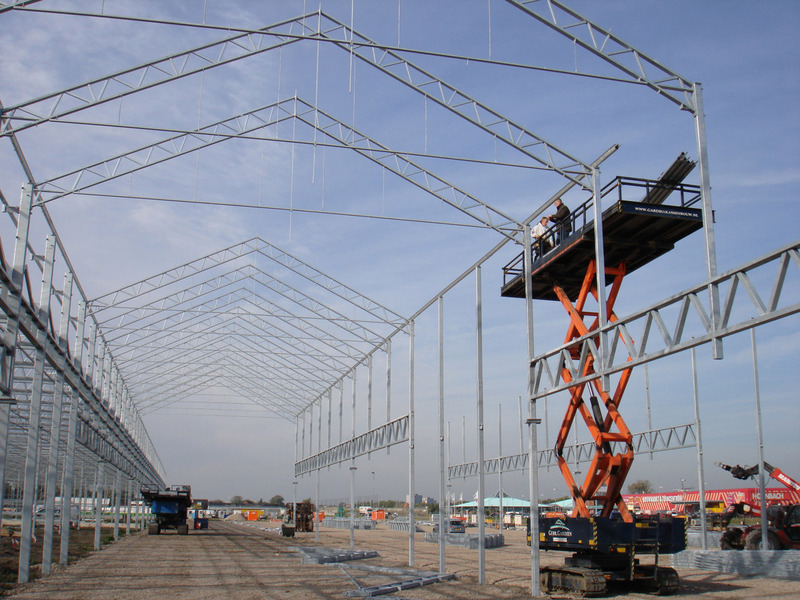 Realisation is done in 3 phases. 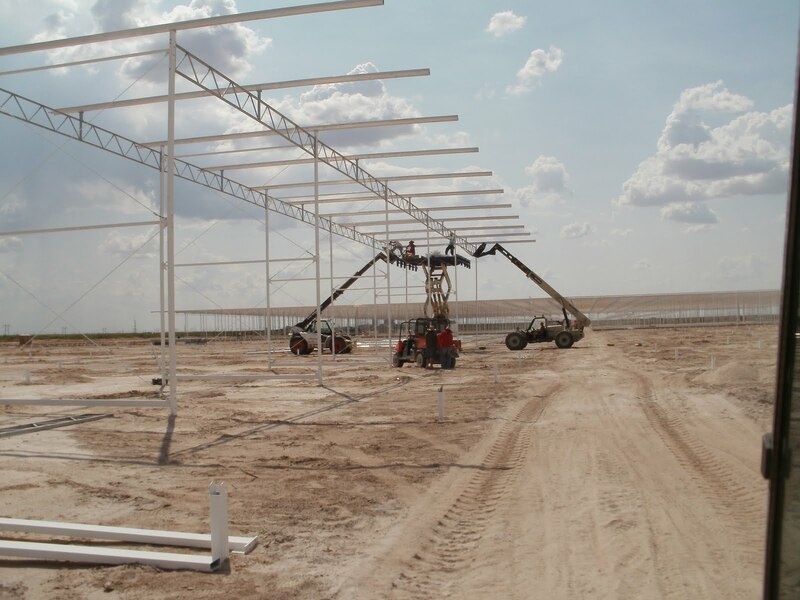 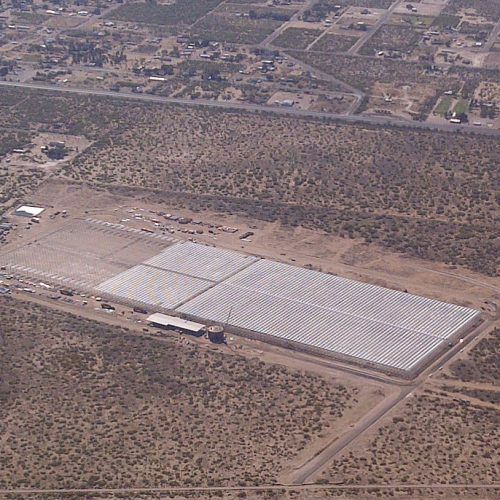 We delivered the steel structure for Village Farms a 12 ha project in Texas USA. 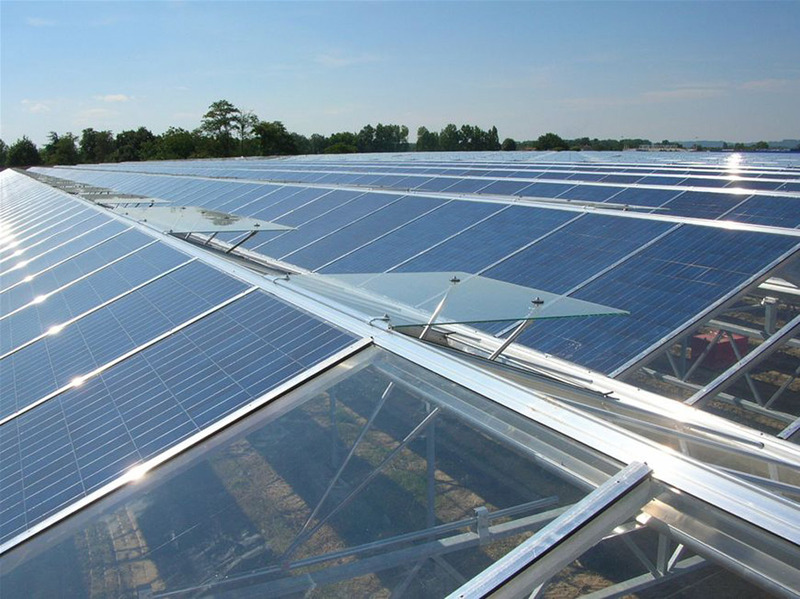 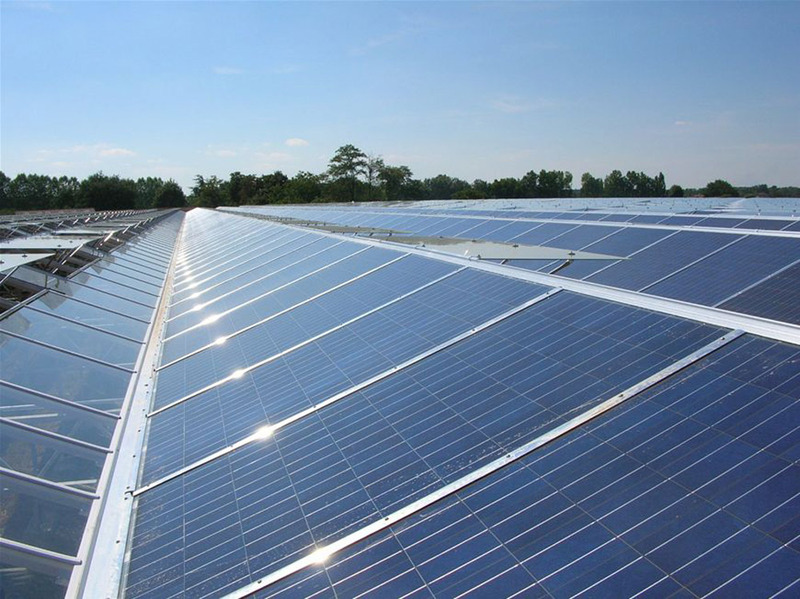 Structures for integrated Solar panels. 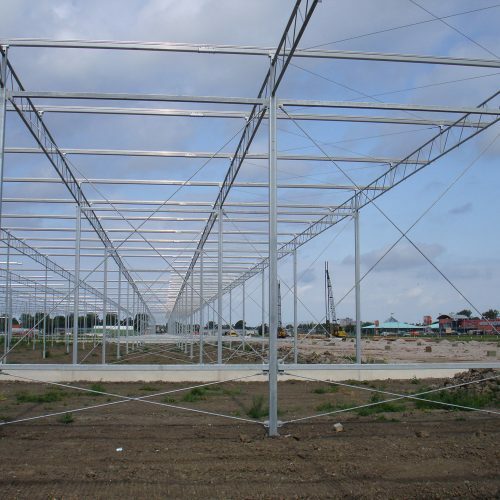 Nowadays we deliver often steel structures for solarframe systems. 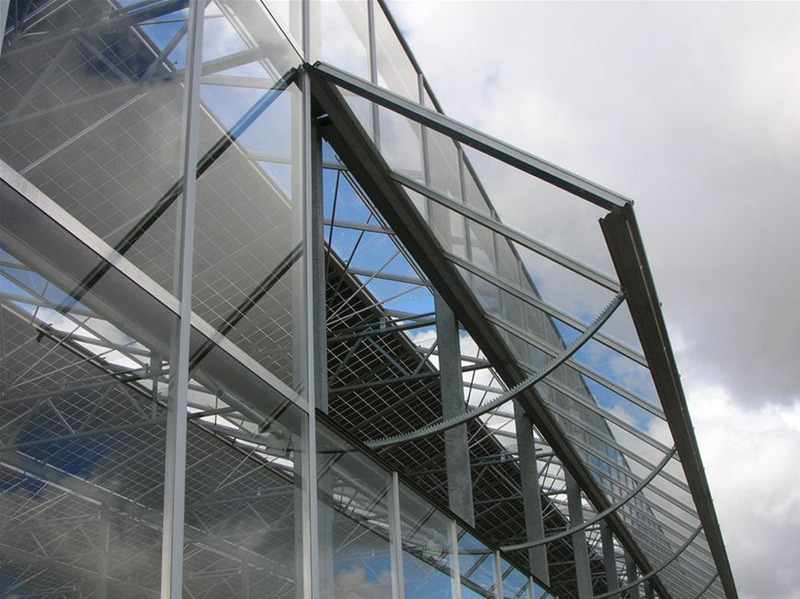 Integrated framed solar panels is installed in a Venlo roof system. 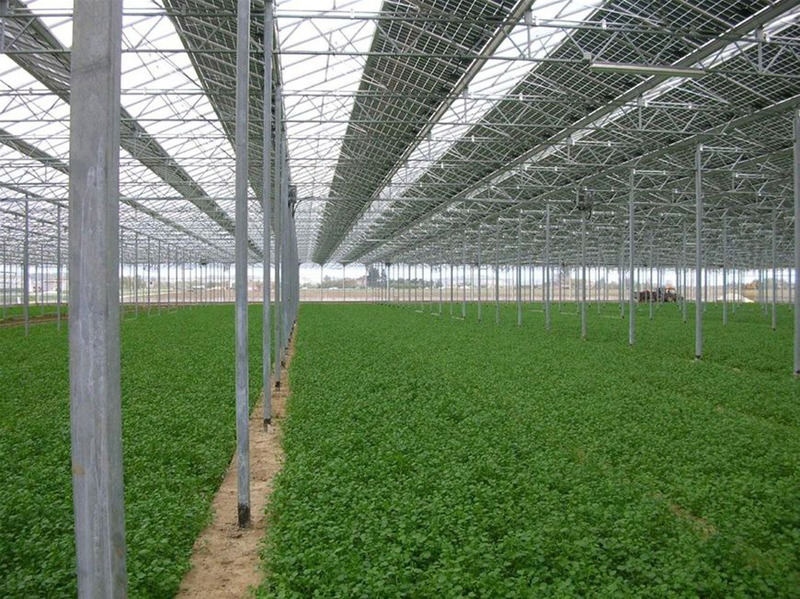 More than 40 ha produced! 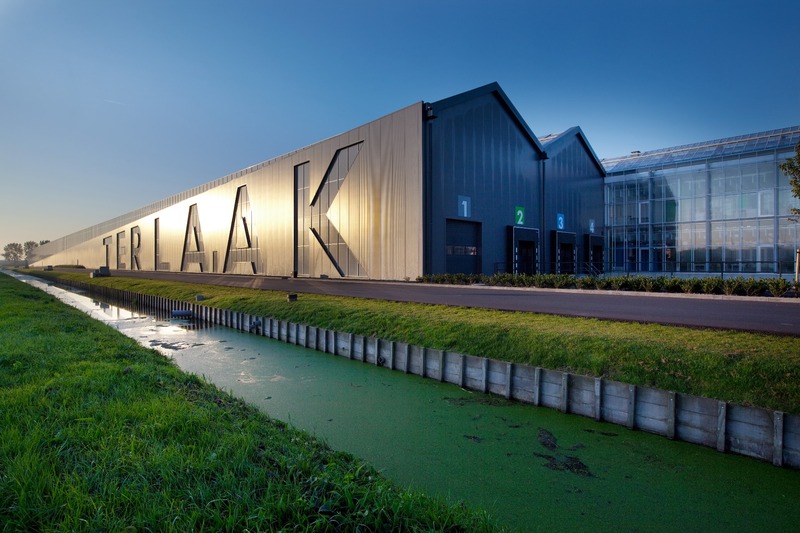 Project Ter Laak in The Netherlands. 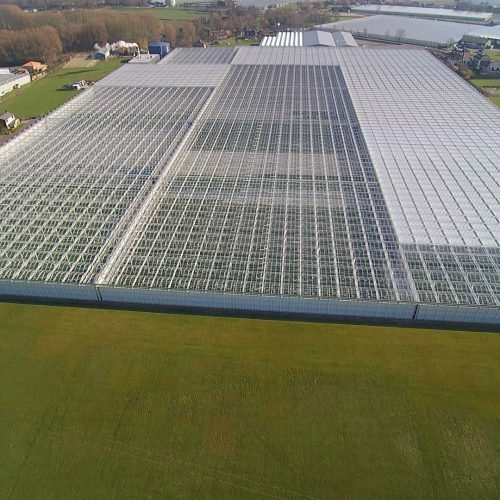 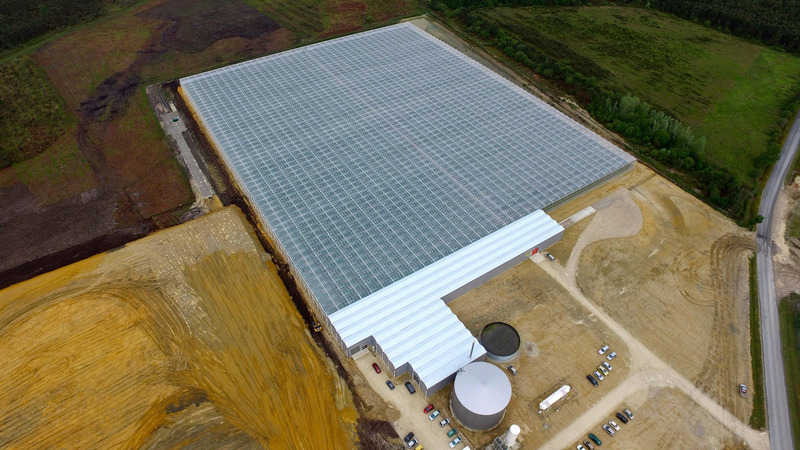 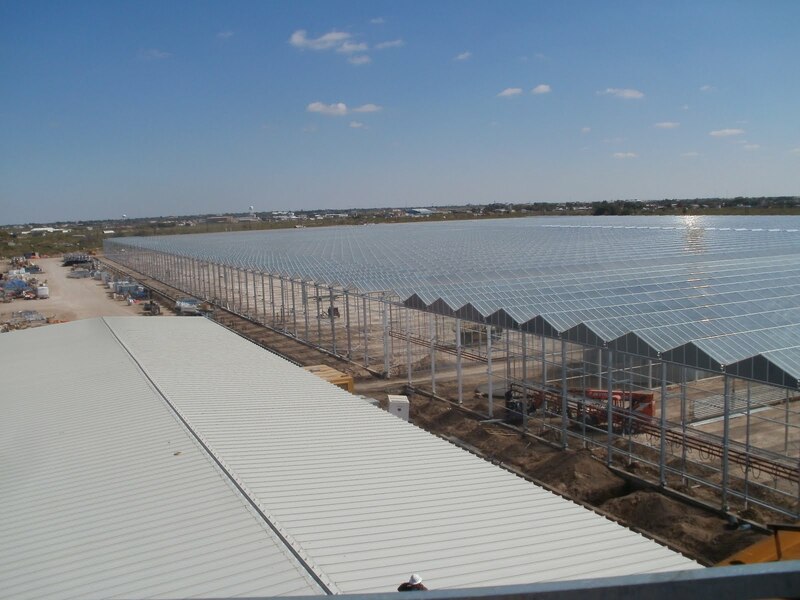 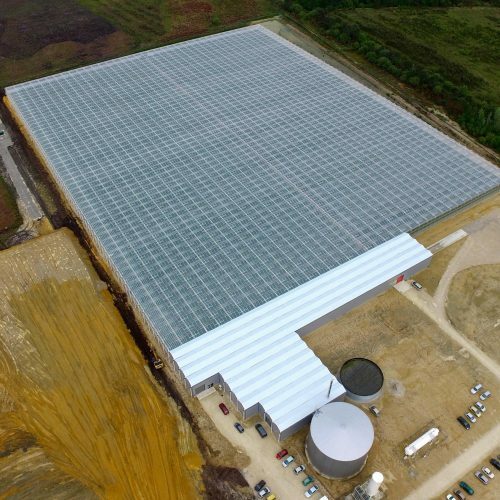 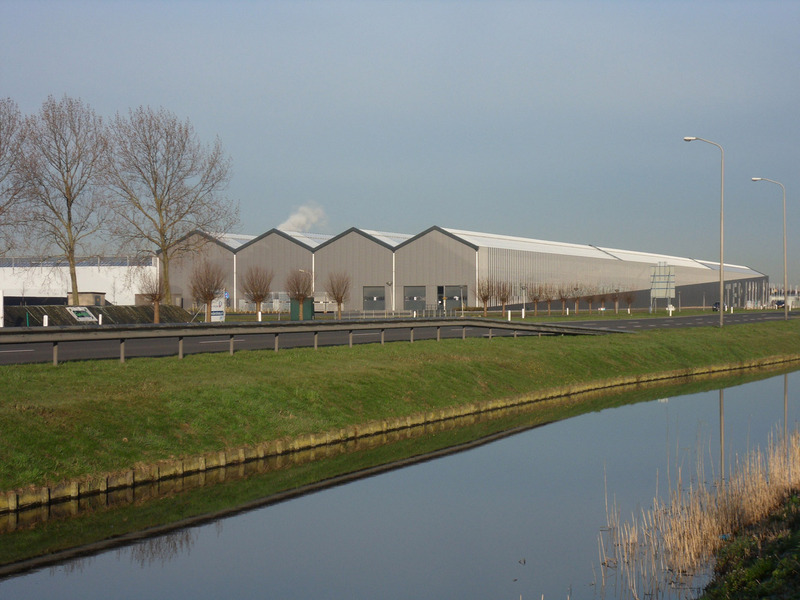 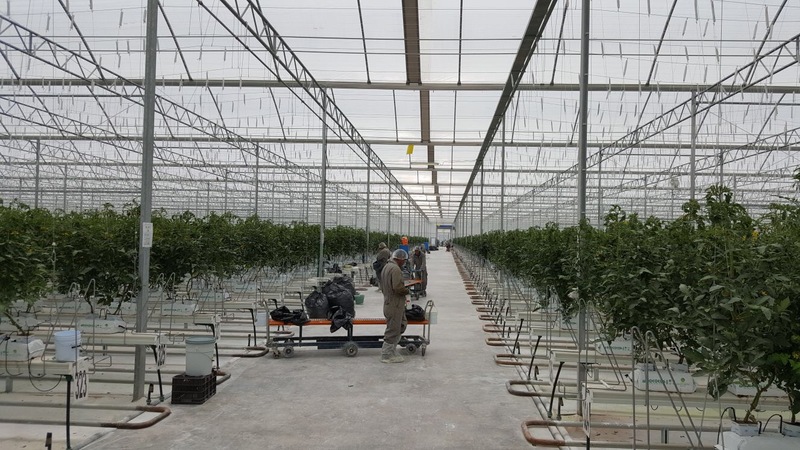 A Venlo greenhouse covering 6 hectares with adjoining wide span greenhouse/business premises of 1.6 hectares and standing approximately 13 metres high.